Magma HDI was born out of a partnership between Magma Fincorp and HDI Global SE. Together, they offer a wide range of insurance products in India. The insurance company, however, caters only to the general insurance category. In the health sector, Magma HDI offers one personal accident insurance plan. Multiple plan options - Customers have the option to choose to from three plans that offer different coverage. According to their budget and requirements, customers can choose a plan. Optional Cover - Customers can choose from two additional covers that provide financial protection against hospitalisation expenses and provide hospital cash. Family Package - This plan comes with the option of including a dependent spouse, children and parents. Customers can avail a 10% discount on premium for adding family members under the same plan. Customer Support - Magma HDI provides a customer support team available via phone or email. Under this plan, customers can get cover against accidental death, permanent total or partial disablement and temporary total disablement. There are also optional covers for medical expenses incurred and hospital cash. Dependent children between the age of 5 years and 23 years can be included in this policy. Dependent parents and spouse are also eligible to be covered under the same plan. The maximum sum insured is Rs.5 crore. For family packages, 10% discounts is offered. In case of death or permanent total disablement, 5% of the capital sum insured (subject to Rs.15,000 maximum per child) will be contributed to an education fund for the first two dependent children, up to the age of 23 years. Think clearly about what cover your require. Always research and compare different health insurance plan options. Decide on an optimum sum assured taking into consideration your budget and inflation. Before purchasing a policy, always read the brochure, terms and conditions and any other relevant document provided. It is important to know the exclusions, co-payment options, network hospitals, cashless claim settlement options, and so on. You need to provide a valid government-issued ID proof such as Aadhaar, Voter ID, Driving Licence, Passport, etc. You need to present a valid address proof such as electricity bill, water bill, ration card, Driving Licence, Passport, Aadhaar, etc. Depending on your previous medical health, the reports may be needed. Choose from three different plan options according to your needs. Renew your policy easily online. Opt for additional cover to take care of medical expenses and loss of income during hospitalisation. At the time of renewal, you can enhance the capital sum insured. The incurred claim ratio indicates the number of claims settled by a company against the number of claims received in a year. This ratio is calculated by the IRDA taking into consideration the total value of premiums collected by the company and the total value paid out in claims. This ratio is made public on an annual basis. The percentage can help customers see how many claims a company rejects. This can help them make a decision on which insurance provider to choose. However, the claim ratio should not be a sole deciding factor. Magma HDI Insurance provides the option of renewing your insurance policy easily online on their official website. Alternatively, you can renew your policy at an operating office, through an insurance agent or at self-service kiosks. The policy must be renewed by the due date. A period of 30 days is granted as a grace period if a reasonable explanation is given by the insured. However, during the 30-day grace period, the cover will not be applicable. Cashless facility allows a customer to avail treatment without paying any money. They need to file a claim with the insurer as soon as possible, and if approved, the insurer will directly settle the bill. This facility is available only if the insurer has a tie-up with the hospital. Cashless treatment is not available under the Personal accident policy from Magma HDI. For more information, you can contact the Magma HDI customer care or an agent. When an incident or injury arises, if you are eligible to make a claim under this policy, you need to inform Magma HDI immediately. This can be done by calling the customer support or writing to the policy-issuing office. If there is a case of death, the nominee has to submit a written notice before cremation or interment, unless reasonable cause can be shown. The notice must in any case be given within one month from the date of death. In case of loss of sight, limbs and so on, notice must be given within one month. Once this is submitted, Magma HDI will process and verify the documents and the case. The claim will be settled within one month from the date on which all documentation was received. In case of fraud and misrepresentation, Magma HDI Insurance will not be liable to pay any claims or even renew the policy. Natural death will not be eligible. Compensation can be claimed only under one of the benefits mentioned in the table of benefits in the policy document. What are the three options available under the Magma HDI Personal Accident Policy? What is covered under the Basic plan of the Magma HDI Personal Accident Policy? Only accidental death is covered under this plan. What is covered under the Wider plan of the Magma HDI Personal Accident Policy? You will receive cover against accidental death, permanent total or partial disablement. What is covered under the Comprehensive plan of the Magma HDI Personal Accident Policy? Under this plan, you will be covered against accidental death, permanent total or partial disablement, along with temporary total disablement. What are the add-on plans available with the Personal Accident Policy? You can opt for Medical Expenses Extension and Hospital Confinement allowance.  What is Medical Expenses Extension? This additional cover can be taken to cover medical costs arising out of an accident that causes bodily injury, disablement and death. A maximum of 40% of the personal accident sum insured can be claimed. What is Hospital Confinement Allowance? For every day of hospitalisation, up to Rs.500 can be availed as hospital cash for a maximum of 30 days. Hospitalisation must be due to an accident that causes disablement, bodily injury or even death. What is the additional premium that must be paid for optional covers? Medical Expenses Extension - 25% of the base premium. Hospital Confinement Allowance - Rs.300 per person. Can I include my 21-year old son in this policy if he is employed? No, only dependent children can be included in this plan up to the age of 23 years. Will my premium be refunded if I cancel my policy during the free-look period? If you cancel your policy within 15 days from the date of inception, then you will be entitled to a refund. The company will deduct expenses incurred, stamp duty and any proportionate risk. What is the requirement for enhancement of Capital Sum Insured? Enhancing the Capital Sum Insured can be done only at the time of renewal. Enhancement is also subject to review of the income of the insured. Who is defined as ‘family’ under the personal accident policy? Family is defined as the insured’s spouse, dependent children, legally adopted children, dependent parents, mother-in-law and father-in-law. What percentage of the sum insured is paid out for disablement? Temporary total disablement - 1% of the capital sum insured or Rs.5,000, whichever is lower, per week up to a maximum of 104 weeks. What percentage of the capital sum insured is allocated for family members?